KBShimmer "Eclipse" + WingDust "I Can See Your Holo"
WingDust "I Can See Your Holo" - This is a clear based topper filled with gold leaf, gold flakes, holographic shimmer and some subtle red shimmer. I normally prefer my glitter filled jellies or crellies, but this topper is absolutely fancy! 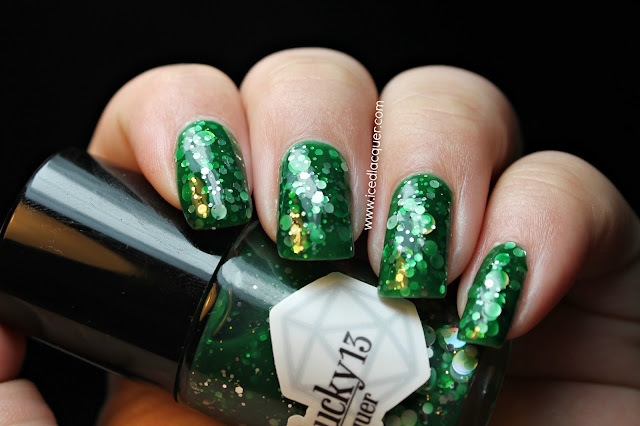 I used two coats plus top coat for these photos. 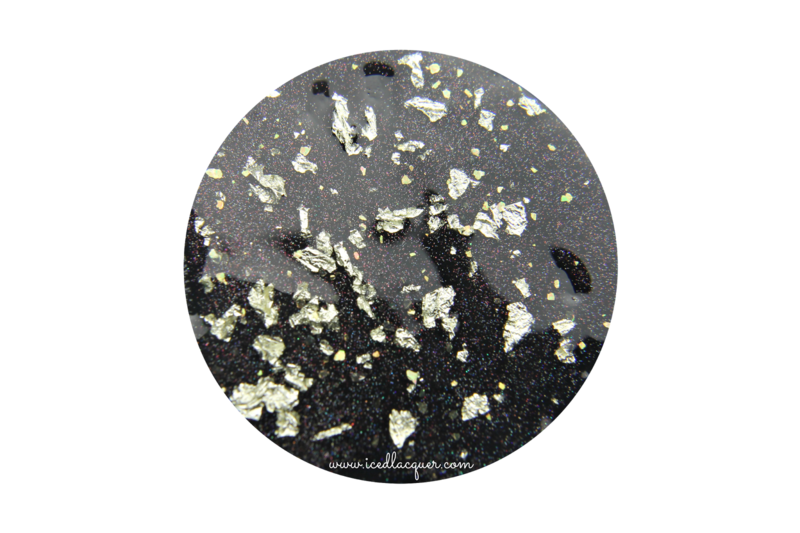 KBShimmer "Eclipse" - As the base for this topper I used the lovely black creme from KBShimmer. Much like the other cremes from that spring collection, the formula was wonderful and nicely pigmented. I used two coats and this photo shows the shine it has without top coat! Everyone needs a staple black creme like this in their collection. 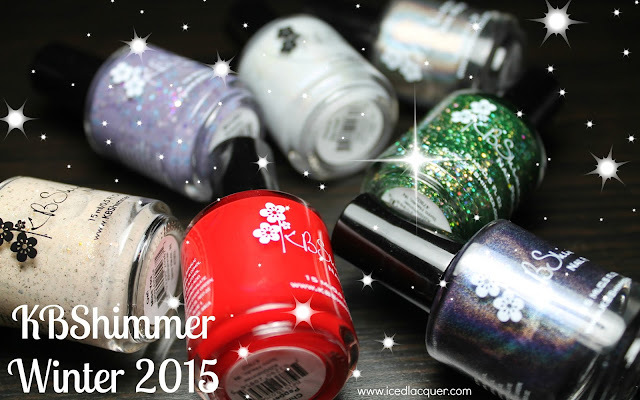 You can find WingDust on Facebook HERE and purchase polishes HERE on Etsy. 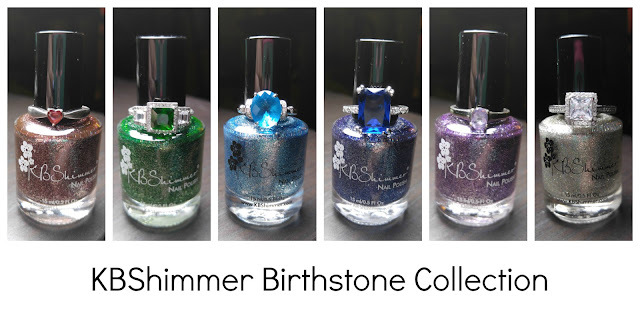 You can find KBShimmer on Facebook HERE and purchase polishes on their website HERE.